The NASA Education Division provides an extensive selection of online educational resources for younger students. The Featured Materials, Featured Sites, and "Have You Seen?" pages include lesson plans, activities, educators' guides, videos, and other resources that use NASA research or mission materials, as well as news articles, interactives, posters, and other items. 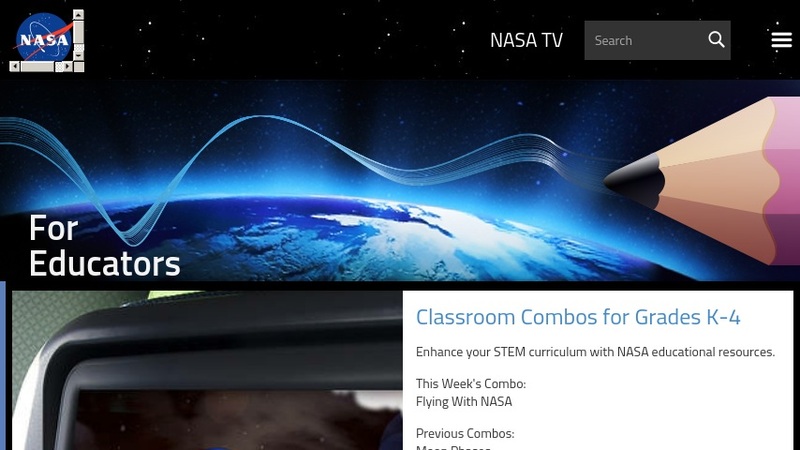 There are also announcements of educational and professional development opportunities for students and educators, and links to other NASA educational projects.